April 12 Walk Around the Block – Register now! April and the Week of the Young Child are almost here – come Walk Around the Block with us. Registration for Walk Around the Block is open! Let us know you’ll Walk Around the Block for ECE this year. See more information, links to flyers, and registration to Walk — at the State Building or in your neighborhood — below. CPAC's Sunday, April 7 Early Educator Recognition Event is filling up. Are you going? 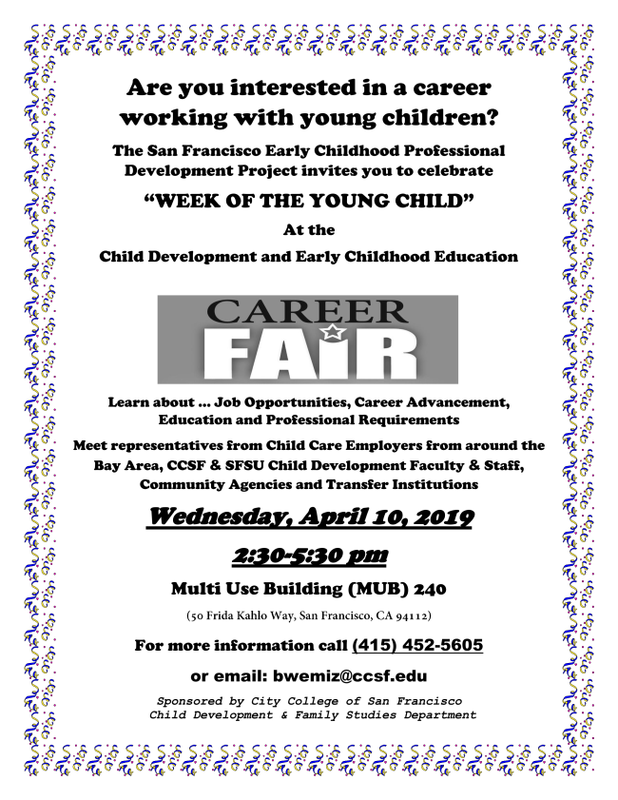 And City College of San Francisco's Child Development and Family Studies Department holds it's annual Career Fair. See details below. 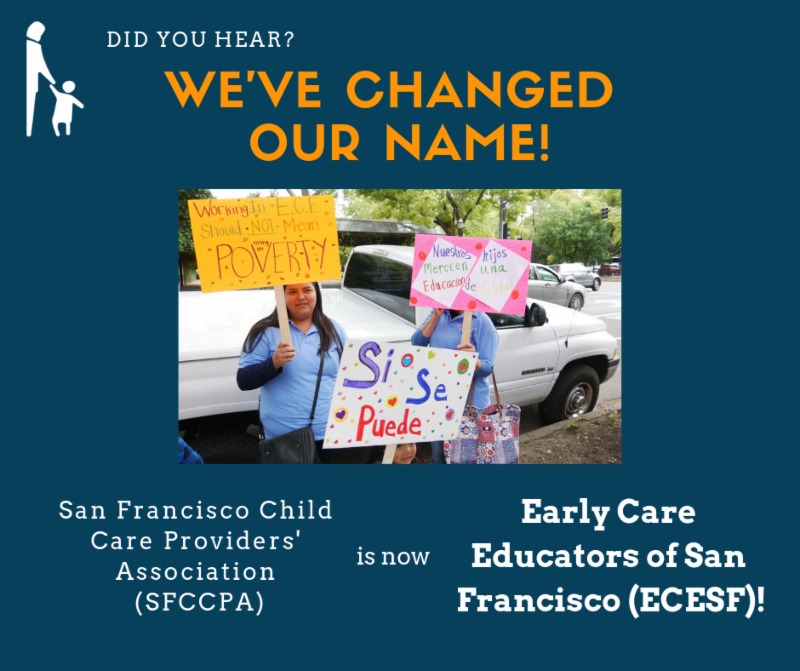 Come together with the SF ECE community to let our elected leaders know how important Early Care & Education is for our community. San Francisco families need quality ECE — and ECE quality and availability depends on educators. Come together to call for increased funding for pay parity with K-12 to retain and attract early care educators, and expanded services for San Francisco's children.